All ponds are different, and what works for one in terms of care and large or small pond maintenance might not be appropriate for another. A one size fits all approach simply doesn’t cut it. The important thing to remember is that your pond is a living, growing environment, not just a pretty piece of lawn decor, and it requires very particular type of pond cleaning services in order to keep all of the fish and other wildlife healthy and thriving. With this in mind, it is important to look for a company that can provide a high level of specialized pond cleaning services tailored to the particular needs of your pond. That truly expert approach is what you can expect from Any Pond Limited. It comes from years of experience cleaning pond water and working with all sorts of ponds and it can allow you to rest easy knowing that your pond is in the best shape possible for year round enjoyment. And really, that’s what having a pond is all about, bringing the joy of nature to your life. How the Northamptonshire weather affects your ponds in the Midlands, UK . Of course, with the unique weather of the Midlands, maintaining an outdoor water feature such as a pond can be a real feat. Though it is situated in the heart of England, the fact that it is the furthest point from the coast than any other place in the country means that it can experience a wide range of weather extremes. This region has seen everything from bitter cold winter nights to warm summer days and almost everything in between. What does this mean for pond owners? Well it can make it quite a challenge to keep up with pond cleaning and maintenance, but it also makes those particular services extremely important. In order to ensure that your fish and other wildlife remain healthy year round, it is important to stay one step ahead of that unique Midlands weather and understand how to take care of a pond in this climate. This fact remains true whether you are in the countryside of Derbyshire or the more industrial areas of Dudley, Birmingham and Walsall. With the tendency to have cold nights and mild days, the weather in the Midlands can be hard on most ponds. It is common to see everything from build-up of bacteria to excess debris to chemical imbalance in the water. 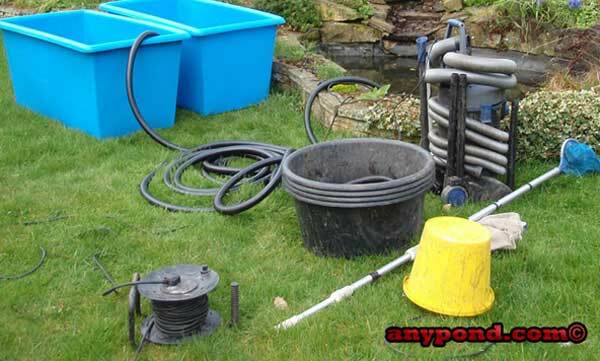 That’s why Any Pond Limited puts such a high emphasis on its pond cleaning services. So why is it so important to clean your pond and why pay such special attention when choosing among fishpond cleaning services in the Midlands UK? Simply put, your pond is a micro-environment and as such it is constantly changing. Fish breed, debris accumulates, and physical structures like retaining walls can decay and erode over time. All of these factors can affect the health of your pond. In order to prevent the destruction of your pond over time, you need to remain on top of its condition. Each of the four seasons can bring specific challenges to the pond. The cold of winter can lead to the pond surface. When considering local pond farm pond maintenance or other services for cleaning pond muck, you have to make sure you choose a company that has the experience and expertise to do the job right. freezing over. This may seem like good insulation for the fish and other pond inhabitants but in fact, it can be quite destructive. Unless a hole is cut into the ice, gasses can build up under the surface that can kill fish and other creatures which is why koi pond care and maintenance is critical in the winter months. Similarly, the bottom of the pond should be cleaned in the fall before ice develops to limit the accumulation of bacteria and other substances that can rob the pool of necessary oxygenation. Proper pond cleaning in the Midlands is not only necessary in the cold months, however. Once the weather begins to warm in the spring, it is the ideal time to clear the pond of any debris that may have built up over the winter. This can include fallen leaves and sticks as well as accumulated fish waste. And in the summer it is important to keep the water clean and prevent the growth and spread of algae, which can rob the pond environment of vital nutrients. To this end, there are many techniques that the conscientious pond owner can employ in order to ensure proper maintenance. These include periodic changes of water, skimming of large pieces of debris with nets or using a vacuum or other suction device to clean the bottom of the pond. While all of these can be employed fairly safely, it is important to do so with extreme caution so as not to unduly disturb the environment of the pond. It is the need to maintain this delicate balance that makes the use of a professional pond cleaning service so important. Because no matter how much care you employ, you could still end up doing more damage than good if you don’t proceed carefully. Trained professionals know exactly what to do, when the best time is to do it in regards to Midlands weather, and can help you to keep your pond in the best shape possible. So when it comes to pond cleaning services in the Midlands UK, you’ll find that there is no one better to trust than the helpful folks at Any Pond Limited. Any Pond offers a wide range of cleaning and maintenance services backed by years of expertise in pond design, creation and care. We love ponds as much as you do and so we’ll do everything we can to keep your pond healthy. For this reason, you can avail yourself of our Deluxe Pond Maintenance Service, Seasonal Service or Koi Pond Maintenance programs, each of which are tailored to provide a particular level of care and cleaning. No matter what the size, shape or status of your pond you can relax knowing that you’ve put it in the hands of our experienced professionals. The Deluxe Pond Maintenance Service includes regular monthly visits to provide complete pond cleaning and maintenance while the Seasonal Service involves one visit per season to provide the necessary cleaning and maintenance to get you through the coming months. The Koi Pond service is tailored specifically for ponds that house delicate Koi fish, in order to provide these beautiful creatures with the healthy environment they require. So why make Any Pony Limited your choice for natural pond maintenance in the Midlands UK? That’s easy: we know ponds, we love ponds and we’ll go the extra mile to ensure that your pond is well cared for year round. That means doing everything from installing your pond cleaning net to removing large debris to checking the status of pumps and filters to ensure they are working properly. It also means checking and cleaning skimmer baskets or installing them if necessary, pond muck removal, recommending pond cleaning chemicals as needed and make sure that microscopic debris is being properly removed as well. But we know that pond cleaning services don’t stop with the mechanical equipment, so we’ll also check the water itself for chemical or bacterial build-up and also check the surrounding plants, trimming them if necessary to keep them from impacting the water. We’ll also make sure that retaining walls are in good shape so that your pond can stand up to whatever Mother Nature may dish out. The last thing you need is crumbling walls or cracking stones to allow your pond to become endangered. At Any Pond Limited, we recommend scheduling pond cleaning services at least once per year – plus a regular maintenance program in order to ensure the best possible condition for your pond. That’s why we offer our various cleaning and maintenance services in order to make it that much easier for you to stay on top of that crucial maintenance cycle. The other advantage of having one quick pond cleaning per year is that it allows you to limit the amount of stress to fish and plants, as they don’t need to be removed from the water as they would for more serious deep cleaning. It can also reduce the potential damage to retaining walls from water level reduction and avoids possible bacterial imbalance. Any way you look at it, when it comes to pond cleaning services in the Midlands UK, you can’t do better than Any Pond Limited. You’re getting top level expert care backed by years of experience, both with pond maintenance in general and with the unique weather conditions of the Midlands region. We know what you need and we know exactly how to provide it for you even if its only a small pond cleaning service you are looking for. If you own a pond and want to make sure it is properly cared for, you can simply take a photo of your pond and send it to us via our website. 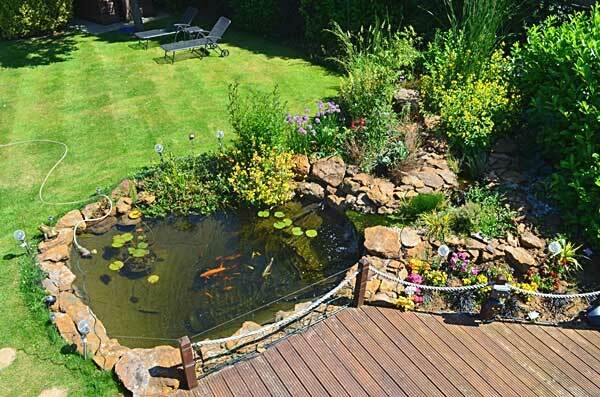 Then you can speak to an Any Pond specialist about setting up a cleaning and maintenance program for your pond. We will work with you to make sure you’re getting exactly the care you deserve. 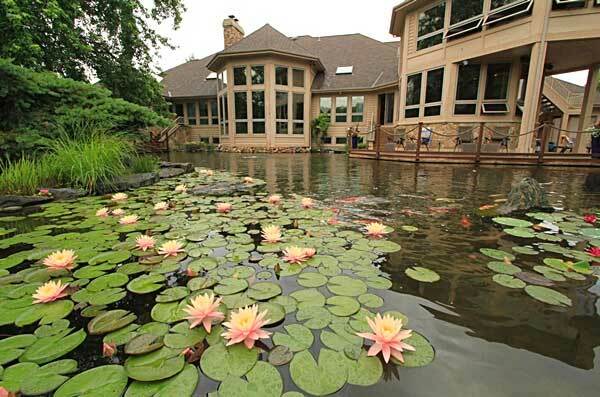 Proper pond cleaning services and maintenance is not something you should take lightly. A good quality pond cleaning service can mean all the difference in creating and sustaining a healthy, thriving environment. Do right by your pond and hire the pond specialists at Any Pond Limited.